The Club is in the final stages of agreeing to a new design of Club polo shirt. The management committee has received lots of helpful feedback about the design and quality of the Club shirts. As a result we are planning to offer a new high specification Club design polo shirt. This will be made to a unique Lintman design by Kudos sportswear the suppliers to the Archery GB squad. Unlike previous Club shirts this will be a modern technical shirt with the design created by the latest dye sublimation printing. The price is expected to be approx. £30. At the Club session on Sunday 14 March (09:30 -11:00) I will have a sample shirt and design ideas for any members to take a look before the final design is chosen. 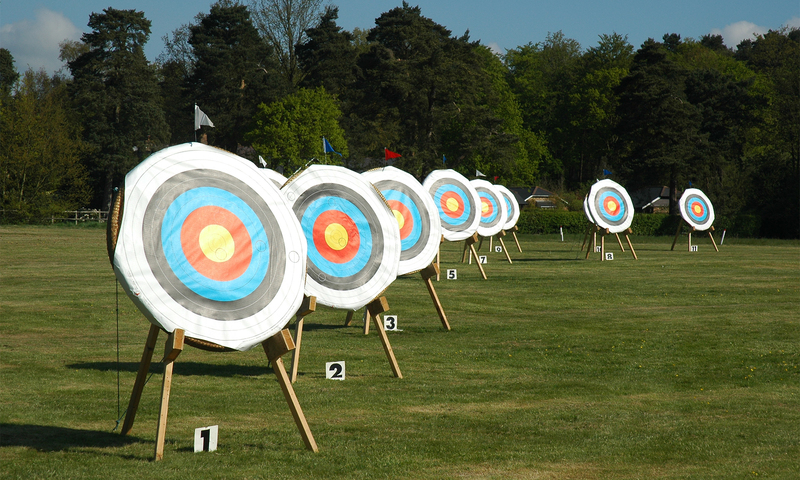 Interested in entering a local archery tournament? A number of local Archery GB affiliated clubs run ‘open’ tournaments each year where archers from all over the country compete together. These more formal competitions can be a lot of fun and there are a few popular ones where the Club have been represented in recent years. To help members we have added a new page to the Member’s Section of the Club Website which provide more details about local tournaments and where to get more details. The page can be accessed via the Members menu or click Local Archery Tournaments. Please note that there has been a change to the Indoor Shooting Diary. The planned Fita 18 Round for March 3rd will now take place on February 17th. The remaining weeks will all be Portsmouth Rounds. For a summary of the indoor calendar click on Bisley Calendar 2014/15 for more details. The indoor Competition has so far not had many entrants, so we will be simplifying the requirements to Portsmouth rounds. Click on Bisley Rounds and Competition details 2014/15 for more details.